Benin's rural areas still lag behind in terms of access to drinking water. Hence the intervention of the World Bank, which finances the Programme for Universal Access to Drinking Water in Rural Areas. With the amount of 220 million dollars, this financing should positively influence the rate of access to drinking water in Benin. According to Unicef Benin, 63% of Beninese living in rural areas have access to drinking water. This figure is much lower than the urban figure of 82%. A disparity that the World Bank (WB) is determined to reduce. That is why it has decided to allocate 220 million dollars, or more than 124 billion CFA francs. This funding is part of the Programme for Universal Access to Drinking Water in Rural Areas, better known in Benin as the “Aqua-Vie” Programme. The financing agreement was signed between Benin’s Finance Minister Wiliam Wadagni, Pierre Laporte and the WB’s Director of Operations, in the presence of Katerina Sharkey, the WB’s resident representative in Benin and the Director General of the National Rural Water Supply Agency. The World Bank money will enable the Aqua Life Programme to rehabilitate 600 water supplies and make 34,000 personal connections. People living in rural Benin will also see 3,300 standpipes built in the coming months. According to the World Bank, this work will eventually enable 1.7 million people to have access to drinking water. As soon as he came to power in April 2016, President Patrice Talon set himself the goal of bringing drinking water to all Beninese by 2021. It is therefore to achieve this ambition that his government has activated the “Aqua Life” Programme. “This programme directly supports the government to promote universal and sustainable access to drinking water services for the rural population,” said Katerina Sharkey, the WB’s resident representative in Benin. And to specify, “with its innovative character, the “Aqua-Vie” Programme uses, for the first time in Benin, the PforR (Programme for Result) instrument which, on the one hand, directly links World Bank disbursements to the achievement of results in terms of increased access and sustainable management of drinking water services, and, on the other hand, strengthen the country’s technical, fiduciary, environmental and social systems. It is also the first time in sub-Saharan Africa that this instrument has been approved for a water sector project. Although the programme is designed to contribute to sustainable infrastructure management and universal access to drinking water services, it suffers from some criticism. 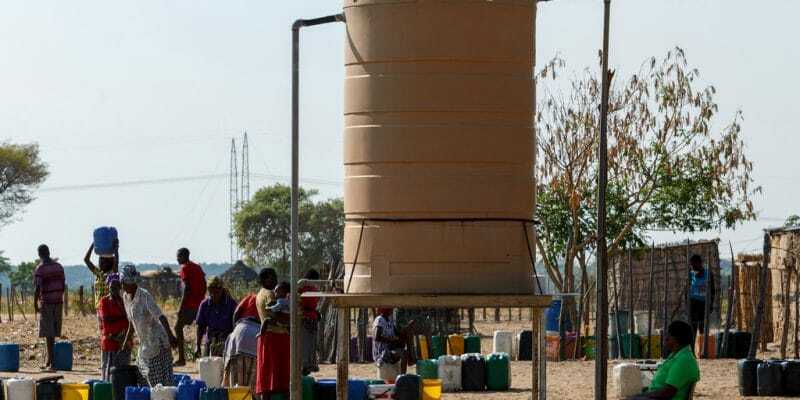 Many of its critics point to the fact that the State has entrusted the implementation of the project to the new National Rural Drinking Water Supply Agency (Anaepmr) to the detriment of the rural municipalities concerned.